In a varied and successful career, Greg has had a wealth of experience of working alongside some of the biggest names in wrestling, sport, entertainment and TV production. A twice-published author, Greg worked for 15 years in local newspaper journalism, presents his own community radio show, and has also written for Europe's industry-leading wrestling magazines Power Slam and WrestleTalk. He has a successful track record in managing and developing talent, having worked as a live event promoter for a decade running his own wrestling shows, and also managed a wrestling training school for five years. Since 2002 Greg has worked on hundreds of live wrestling, boxing and entertainment events all over the country, both on camera as a performer, ring announcer and commentator, and behind-the-scenes. 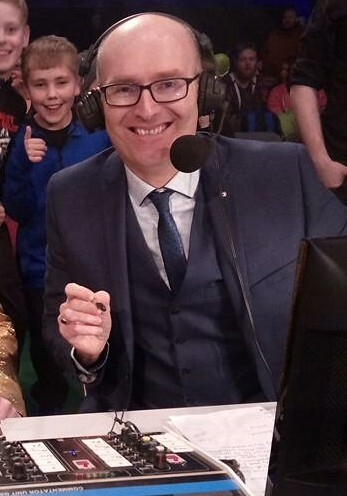 His most notable work has been as a producer, talent manager and stage manager on the 2019 WOS UK tour with the stars of ITV Wrestling, and as senior writer, producer and broadcaster on British wrestling's only live television shows of the past 30 years on FreeSports in 2017/18. His specialist areas also include public relations, media and customer service.